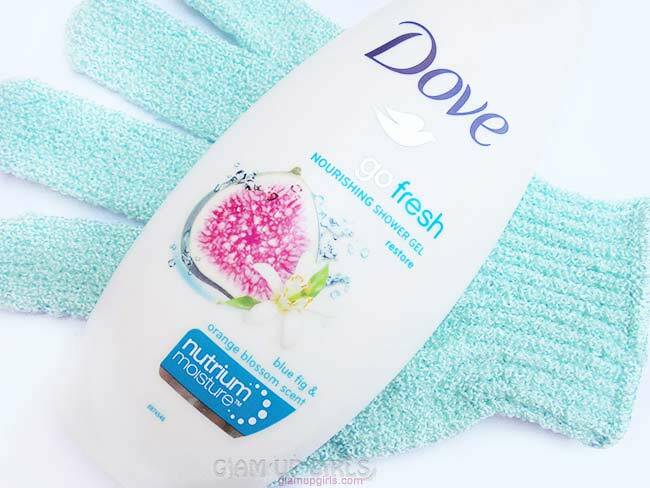 I always try new shower gel when ever i get the chance and this time i picked one from Dove go fresh range. Dove is famous for their non drying formulas which leaves the skin soft and moisturized. Having said that dry skin like mine always need a product which is non drying even in the hot and humid summers and i do not have to put extra layer of body lotion which can be really troubling. Lets find out if this shower gel was worth trying or not. This shower gel comes in white plastic bottle with flip cap which is good to use in shower. The product is thick creamy like any body lotion and has pale blue color. The fact that it is thick in consistency is really good as you will not pour and waste unnecessary product comparing to the formula which is thin and runny. This shower gel has a lovely citrus-y floral scent which is unique and refreshing but is not very long lasting. I pour little amount on bath glove and it makes really good leather but it needs more amount for whole body. It washes away quickly without leaving any greasy feel but on the same time it is not drying at all. Having really dry skin i do not need to apply any body lotion after using it which might be different in winters i suppose as it is not too moisturizing. This is the fact it can be used in all seasons with or without any body lotion. This shower gel leaves the skin soft, clean and refreshing with its lovely smell. 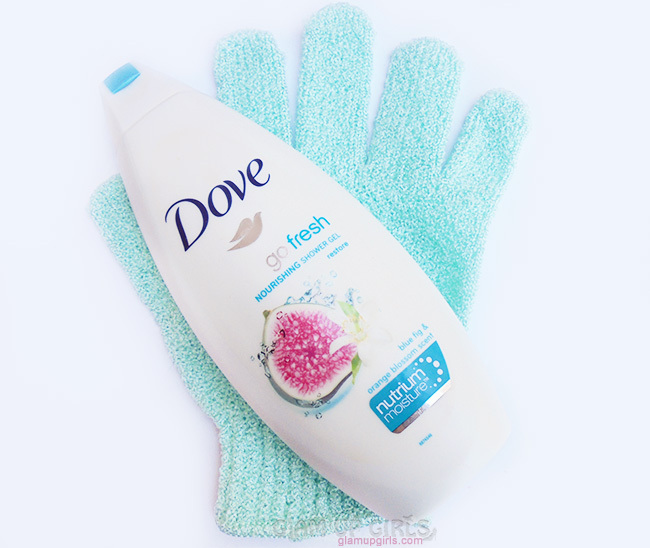 Dove go fresh series have many other options as well with different scents and this one was my first one to try. I can not comment on whether it will nourish the skin or not as i haven't felt any difference in my skin texture but still i preferred it to other body washes or shower gels as it is not drying or greasy and the creamy formula rinse of easily. Overall it is good shower gel specifically for its lovely smell and non drying formula which is expected from Dove products but i like my shower gel to be more lathering. I most probably try their other options next time.